The form of graffiti writing on trains and walls is not accidental. Nor is its absence on cars and houses. Employing a particular style of letters, choosing which walls and trains to write on, copying another writer, altering or destroying another writer's work: these acts are regulated within the graffiti subculture. 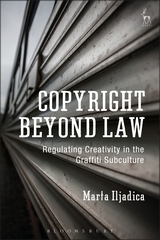 Copyright Beyond Law presents findings from empirical research undertaken into the graffiti subculture to show that graffiti writers informally regulate their creativity through a system of norms that are remarkably similar to copyright. The 'graffiti rules' and their copyright law parallels include: the requirement of writing letters (subject matter) and appropriate placement (public policy and morality exceptions for copyright subsistence and the enforcement of copyright), originality and the prohibition of copying (originality and infringement by reproduction), and the prohibition of damage to another writer's works (the moral right of integrity). 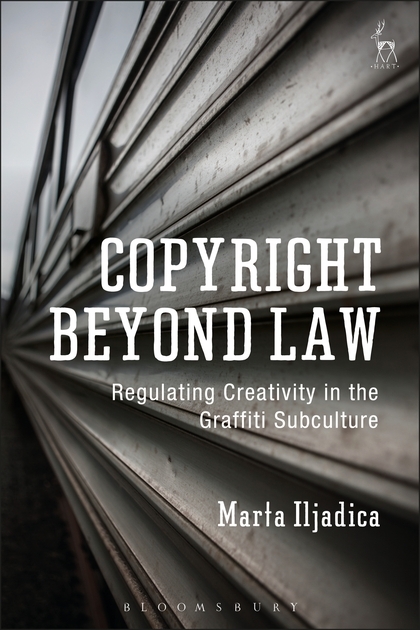 The intersection between the 'graffiti rules' and copyright law sheds light on the creation of subculture-specific commons and the limits of copyright law in incentivising and regulating the production and location of creativity. Marta Iljadica is Lecturer in Intellectual Property at the University of Glasgow.